With so many vape cartridges on the market, it can often be difficult figuring out which one is for you. 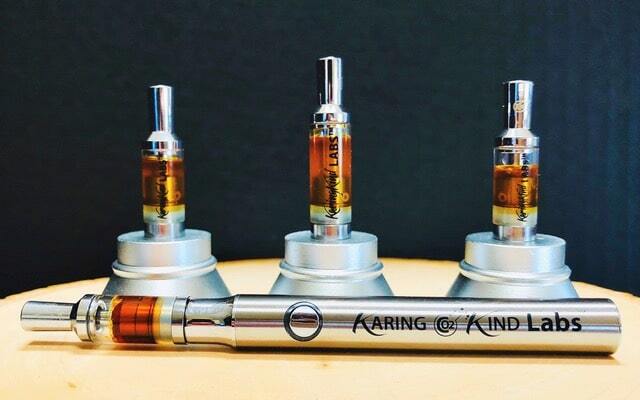 One product that I’ve come across while exploring the vape cartridge market is Karing Kind’s CO2 500mg cartridges. With four different offerings, which includes CBD, Sativa, Indica, and Hybrid CO2 oil there is surely one that will satisfy those who enjoy vapes. Did I also mention there are no additives to their oil? That is another huge selling point when I consider my Vape oil and Karing Kind doesn’t mess around with additives, it’s just pure oil. Now that we have a brief overview of Karing Kind’s CO2 Oil, let’s look at each individual product and touch on what my thoughts/experiences are with each. – I was excited to give the Karing Kind CBD concentrate ago because finding quality CBD products can be difficult because so many companies are trying to hop on the “CBD Train.” Which in result brings an inferior product to the market. However, Karing Kind does not disappoint in the CBD category. With a 10:1 blend of CBD/THC this oil has all the qualities I was looking for in a CBD product. It has helped with nights of restless sleep, relaxing my body after a long day of hiking, or if I want to just sit down to relax this oil does the trick. 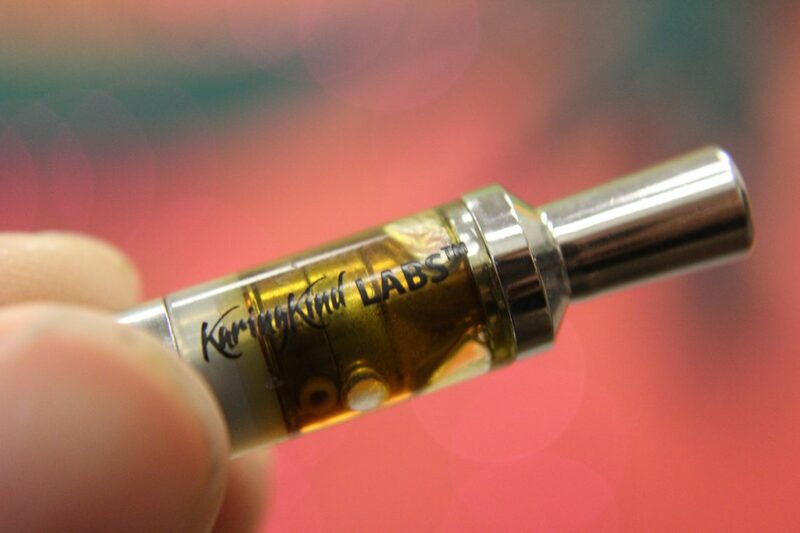 Karing Kind Sativa CO2 Oil – Now the Sativa concentrate has some nice qualities to it and is my go to when I want to be in a more alert/focused state. I will often utilize this version when I’m working on a task that requires a singular focused mindset (designing a piece of abstract art, brewing beer, cleaning, etc) because it helps me block out any other thoughts besides the task at hand. It has been great because my mind is always thinking about thousands and thousands of other things. – This is my go-to for when I just want a couch locked night and don’t want to do a single thing. It has been great for nights where I can’t get to sleep and being such an active person I sometimes need to give my body a rest so I utilize the Indica CO2 oil to put me in a mood to do just that. – The hybrid has always been my CO2 oil of choice from Karing Kind when I’m sitting around a fire with friends, talking about life, and just living in the moment. It’s in-between that sativa high where you have focused thoughts but are relaxed at the same time, similar to an indica feel. It has been great for days when I want to simply be at peace and not let things around me affect how I feel. While everyone’s experience is going to be different when it comes to any cannabis product, having some perspective on what someone else experienced is important and can at least point you in the direction of a product that may fit your needs.